I deleted my call history by an accident and there were numbers I didn't have saved that I need. Is there any way I can see my call history now? Any help would be appreciated! Thank you for your time. Please don’t worry if you encounter similar experience above. Because iTunes will back your iPhone up every time you sync your iPhone. iCloud will also back up your device if you turn on iCloud backup feature. 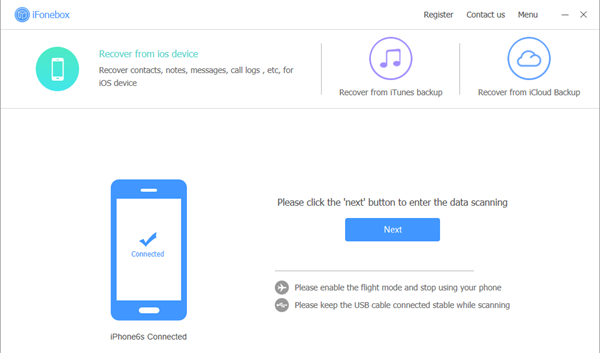 So once you’ve found iPhone data is lost, go to see if your iTunes or iCloud backed up your lost phone calls. Furthermore, you can login online with your account with your carrier, maybe they’re all be in your detailed bill with them. Download the free trial version of iFonebox to give it a shot! iFonebox has two available versions: Windows version and Mac version. Please make sure to install the right version for your computer. 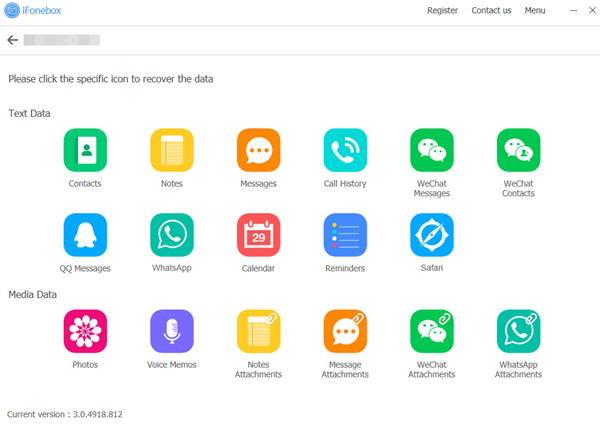 Once you have installed the program, next I will show you how to restore erased call records after an update to iOS 12.2. 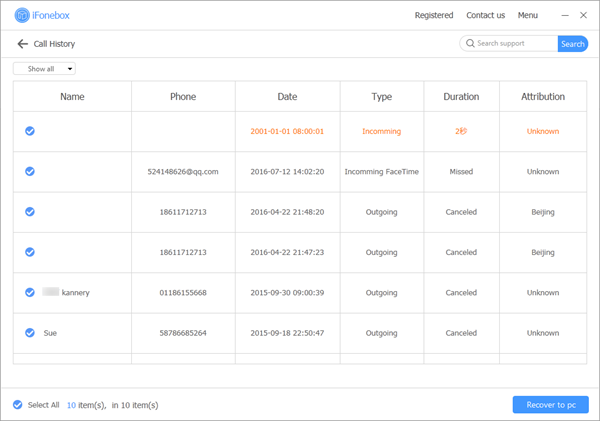 Once the scan is complete, a list of call records will show up on your program interface. Now you can recover them, choose the items you want and click “Recover to pc”.